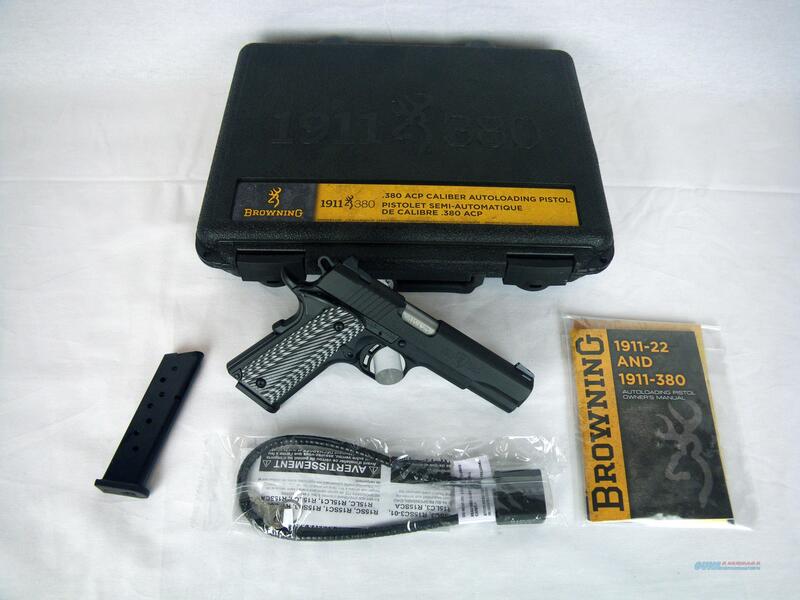 Description: You are bidding on a new Browning 1911-380 Black Label Pro in 380 ACP with a 4.25" barrel. The new Browning 1911-380 combines two of John M. Browning's most lasting innovations - the Model 1911 and the 380 ACP cartridge - into a modern, lightweight pistol. Unlike most of the modern "pocket pistols", that chamber the snappy 380 ACP cartridge, the 1911-380 is slightly larger to better manage recoil for improved control that makes follow-up shots faster and more accurate. The longer barrel increases bullet velocity for more downrange punch and improved accuracy. The grip is compact, yet it is long and wide enough to allow the shooting hand full purchase for added shooting comfort. Tritium night sights come standard on this model. Displayed images are stock photos. Any questions please feel free to ask (our phone number is in the additional information tab above).